Dr. Mark Trudeau graduated from Logan College of Chiropractic in St. Louis, Missouri in 2008. He then began practicing in Cookstown and Barrie and later had the opportunity to acquire Cookstown Chiropractic. After looking around, he fell in love with the village and rural area. He jumped at the chance to have two thriving chiropractic care centers serving different communities such as Cookstown, Barrie, Innisfil, Thornton and Alliston. He was later joined by Registered Massage Therapist, Carly Hubick, in 2010. After acquiring the practice, he renamed the practice Cookstown Chiropractic & Wellness Centre and have since added more practitioners and services. Our location in Cookstown is growing, and we’ve added naturopathy, massage therapy, acupuncture and orthotics to our chiropractic offering. With many solutions at one location, we enjoy serving the needs of all ages, from newborns to senior citizens. Dr. Trudeau is joined in practice by naturopath Dr. Karen Snow. Whether you have an injury, a specific goal to meet or simply want to feel better, we’re here to support you in getting healthier. You may be experiencing pain and are looking for relief. We’re pleased to serve you in achieving a lifestyle free from discomfort. Often, our patients find the greatest benefit by continuing care, experiencing incredible side effects like improved digestion, better breathing, enhanced posture and an overall feeling of being happier and healthier. Contact our office today to find out what we may be able to do for you! 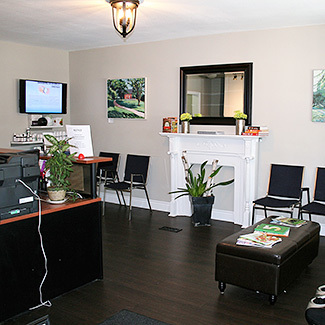 With early and late appointment times, we can accommodate your busy schedule.